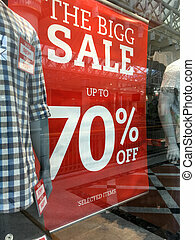 Shop window with sale banners. 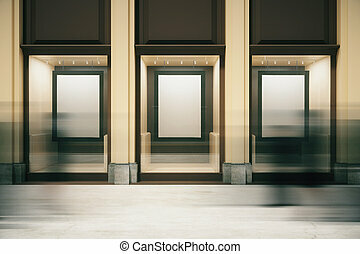 shopping series. 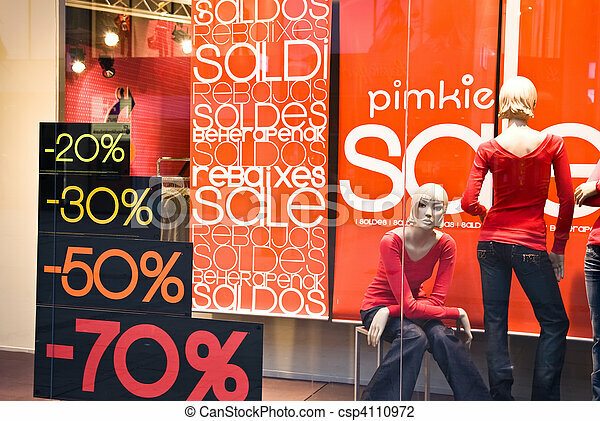 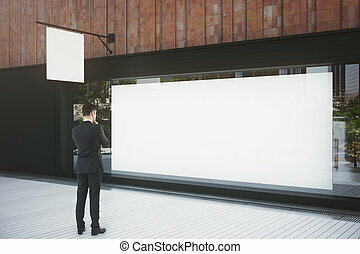 Woman in front of a shop Window With Sale Banners. 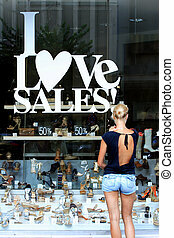 Shopping Series. 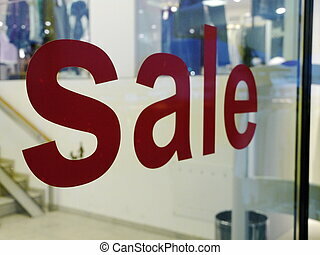 Sale sign with copy space in a shop window. 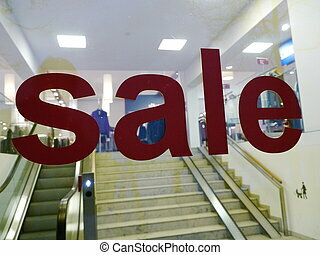 Shopping mall with winter sale. 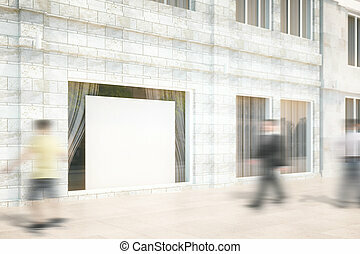 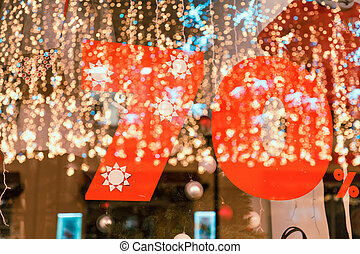 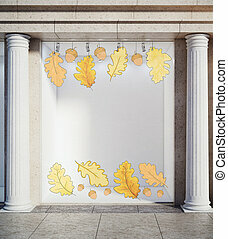 Large Sale 70% discount, a banner on the glass with the reflection of New Year's garlands. 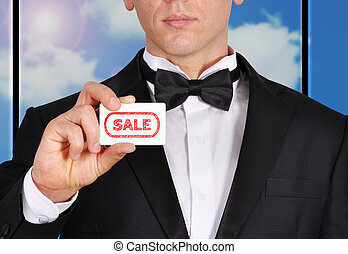 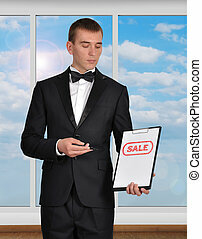 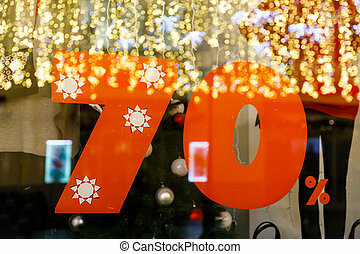 Large Sale 70 percent discount, a banner on the glass with the reflection of New Year's garlands.